Britain went a full day without using coal to generate electricity for the first time since the Industrial Revolution, the National Grid says. Cordi O'Hara of the National Grid said: "To have the first working day without coal since the start of the industrial revolution is a watershed moment in how our energy system is changing. "The UK benefits from highly diverse and flexible sources of electricity. Our energy mix continues to change and National Grid adapts system operation to embrace these changes." 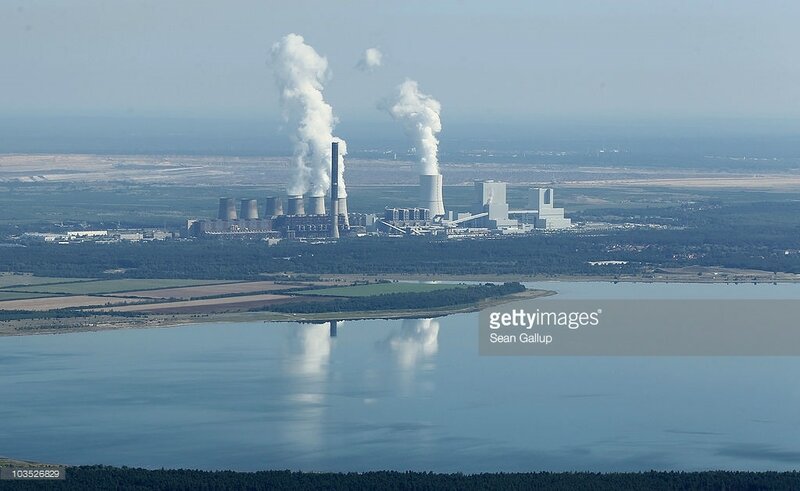 But Friday's landmark moment - the first 24 hour period without any coal powered generation - is a sign of how the once mighty fuel is being consigned to history. 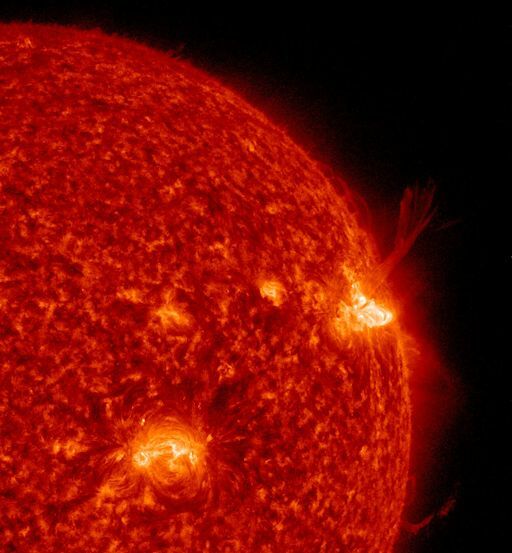 ONE CME - Coronal Mass Ejection - WILL MISS EARTH: On April 1st and 2nd, active sunspot AR2644 propelled two CMEs into space following M4.4 and M5-class solar flares. The first cloud will miss Earth. The second ... stay tuned. NOAA analysts are waiting for more imagery to determine the trajectory of the second cloud. 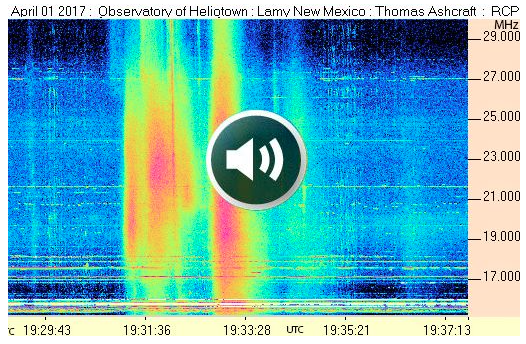 Flashes of UV radiation from these flares have been ionizing Earth's upper atmosphere and altering the normal propagation of radio waves around our planet. There have been at least three significant shortwave radio blackouts affecting regions around the Pacific and Indian oceans. (Blackout maps: #1, #2, #3) People who might have noticed these blackouts include ham radio operators and mariners using low-frequency rigs for communication at frequencies below 10 MHz. As April 2nd comes to a close, AR2644 appears set to continue flaring. In fact, an X-flare could be in the offing. 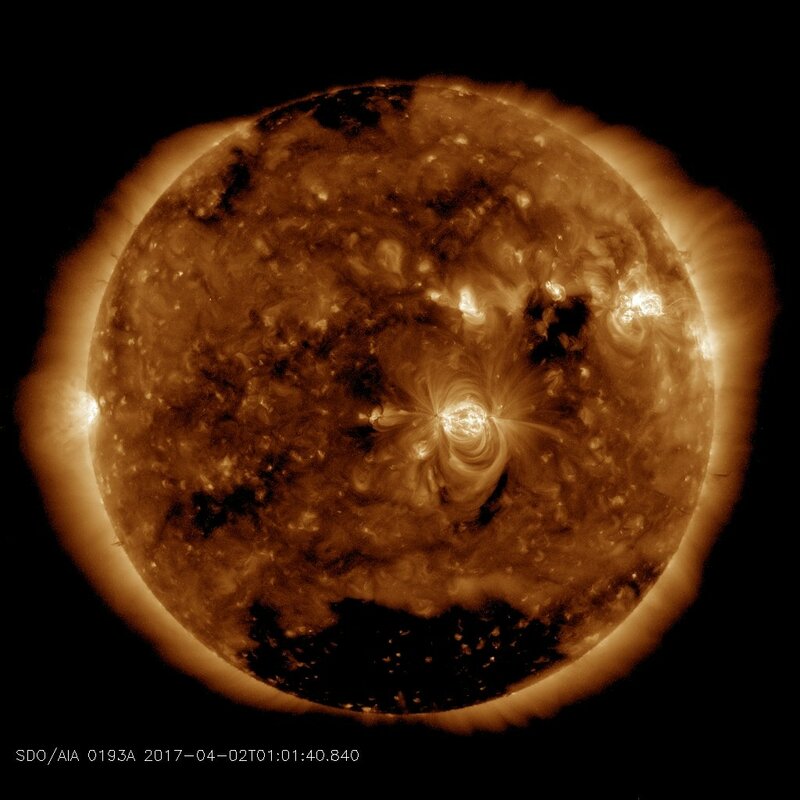 Solar wind flowing from this minor coronal hole should reach Earth on April 2-3, adding its contribution to an already enhanced solar wind environment around Earth. Credit: NASA/SDO. "The solar flare generated very strong emissions and nearly saturated my radio telescope," says Ashcraft. " The sound file was recorded at 21 MHz and it has three peaks." Solar radio bursts are caused by solar flares. Electrons accelerated by strong flares race through the sun's atmosphere, causing a ripple of plasma waves and radio static. Astronomers classify solar radio bursts into five types; Ashcraft's recording captured a mixture of Type III and Type V.
"I had been thinking that I might not be receiving any more strong solar storms this cycle," says Ashcraft, "but am thrilled to receive this activity. And there might be more to come if AR2644 continues to flare." เอกภพนั้นในอดีตภาษาไทยใช้คำว่า "จักรวาล" หมายถึงอาณาจักรอันไพศาลของดวงดาว แต่นักวิทยาศาสตร์เห็นพ้องกันว่ามีอาณาจักรแห่งดวงดาวอาณาจักรเดียวจึงใช้คำว่า "Universe" หรือ "เอกภพ"
​มาถึงวันนี้เสียงนักวิทยาศาสตร์เริ่มแตกเป็นสองกลุ่ม โดยมีกลุ่มใหม่คิดว่าเอกภพมีมากกว่าหนึ่ง จึงเกิดคำว่า "multiverse" ภาษาไทยน่าจะกลับไปใช้คำว่า "จักรวาล" ตามเดิม โดยให้หมายถึง 'multiverse" อธิบายความต่อได้ว่าใน "จักรวาล" มีหลาย "เอกภพ" เข้าใจดั่งนี้แล้ว ปัจเจกชนก็สิ้นความสำคัญ. โรงไฟฟ้าพลังถ่านหินที่สร้างมลภาวะมากที่สุดของ Australia ปิดตัวลง สร้าง วิกฤติพลังงาน มีโรงไฟฟ้าแบบนี้ที่อาจต้องปิดอีก ปัญหาอยู่ที่เทคโนโลยี ไม่สะอาด หรือว่าเป็นเพราะถ่านหินไม่สะอาด? โรงไฟฟ้าขนาด 1,600 MW ใช้พลังงานความร้อนจากถ่านหินที่เมือง Hazelwood ใน Australia ได้ปิดตัวลง หยุดการผลิตกระแสไฟฟ้า ตั้งแต่วันศุกร์ที่ 31 มีนาคม 2017 ที่ผ่านมา หลังจากเปิดใช้งานมานาน 50 ปี สาเหตุเพราะเป็นโรงไฟฟ้าที่สร้างปัญหามลภาวะต่อสิ่งแวดล้อมมากที่สุด ตามที่สำนักข่าว Reuters พาดหัวใช้คำว่า "สกปรกที่สุด"? หรือว่าเป็นเพราะปัญหาการบริหารจัดการต้นทุนเทคโนโลยีถ่านหินสะอาด? ​The doors to Australia's dirtiest power station will close permanently on Friday after 50 years, amping up pressure on a government desperate to avoid the kind of embarrassing blackouts that hit chunks of the country during a recent savage heatwave. France's Engie SA is pulling the plug on the Hazelwood coal-fired power plant near Melbourne, cutting around a fifth of the state of Victoria's energy supply, blaming the "huge" costs of running the aged facility amid rising competition from subsidized wind and solar energy. 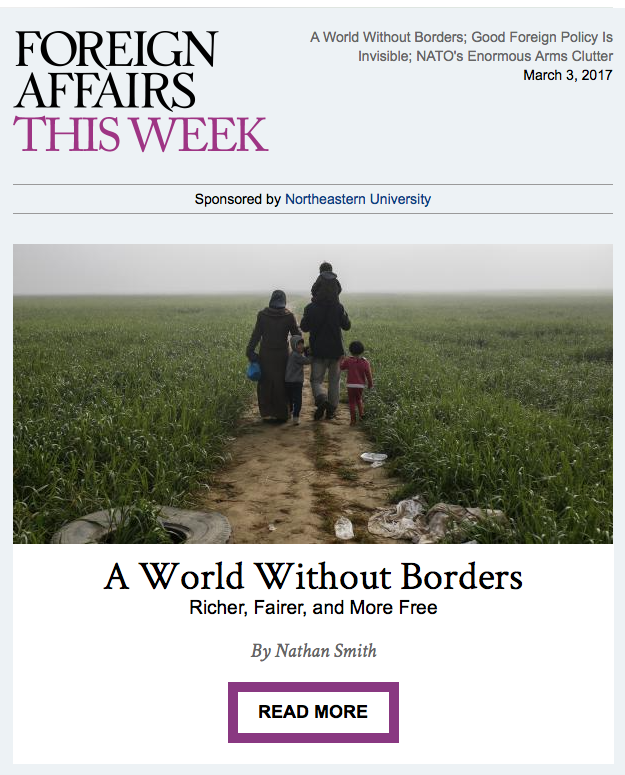 "If the lights go out, it would be nasty," said Tony Wood, energy program director at independent think tank the Grattan Institute. "There's just such a level of political and community concern that (politicians) should be nervous." Growth in electricity demand and a drop in supply since 2014 have strained the Australian grid. South Australia was roiled by a state-wide blackout last September, which crippled industry for up to two weeks, while the eastern states suffered six power cuts over the past summer. "The government continues to carefully monitor this situation," Energy Minister Josh Frydenberg told Reuters in an email. 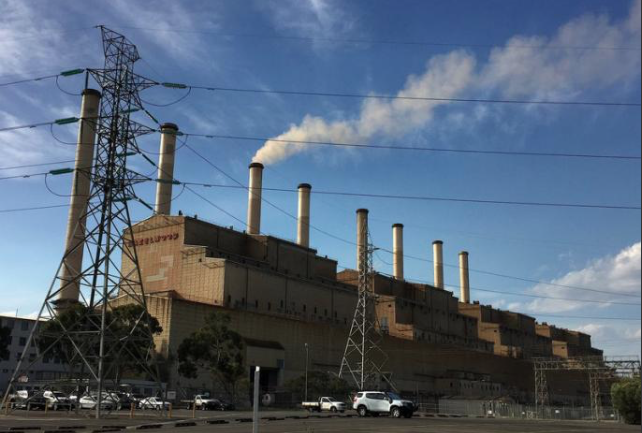 The nation's energy market operator has said there is enough unused capacity at existing power stations and mothballed capacity that could reopen to replace the 1,600 megawatts that Hazelwood is shutting. It is in talks to get mothballed gas-fired plants to restart. Hazelwood has long been symbolic of Australia's love-hate relationship with coal, attracting a major protest in near freezing conditions in 2009 that erupted into violent clashes. It has been labelled the country's dirtiest power station as it emits more greenhouse gas per unit of electricity than any other plant. On Wednesday, as the facility shut the last of its eight generators, workers leaving for the last time hung their hard hats on a fence, with a handful taking photos of the final blasts of steam coming out of the 'stack'. "It feels terrible. Everyone thought it would be a partial closure. No one ever thought it would be a full closure," said Scott Meadows, who has worked at the site for 36 years. Prime Minister Malcolm Turnbull fought off last-minute lobbying from industry and right wing politicians to step in to rescue Hazelwood to secure power and save 750 jobs in an already economically depressed region. "At the very least they should have closed it in stages over two years. They're just walking away," said Tony Maher, president of the mining and energy division of the Construction, Forestry, Mining and Energy Union (CFMEU). Engie was not asked by the federal or state governments to postpone Hazelwood's closure, even after the string of blackouts across the eastern states over the past summer, said Engie's head of corporate affairs, Jim Kouts. The spotlight is now shifting to EnergyAustralia, owned by Hong Kong's CLP Holdings, which runs another aged coal-fired plant in Victoria, at Yallourn. EnergyAustralia said it has enough coal reserves to last until 2032 and has plans to run through until that time, but has not ruled out closing before then. 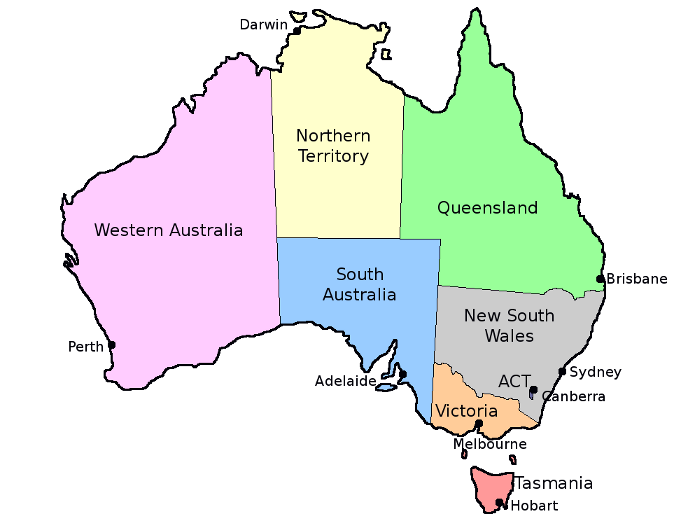 "Of course, we acknowledge policy and market settings may change, but whatever we do we will not sacrifice the affordability and reliability of our customers' energy supply," said an EnergyAustralia spokeswoman. The CFMEU's Maher and industry experts predict that Yallourn will not shut any time soon as its profits are likely to rise following the closure of Hazelwood. In Victoria, daily wholesale power prices surged to A$47.90 ($36.70) per megawatt hour (MWh) in the first quarter from an average since 2000 of A$29.60. "(Yallourn's) prospects of staying open longer strengthened the day Hazelwood's closure was announced," Maher said.